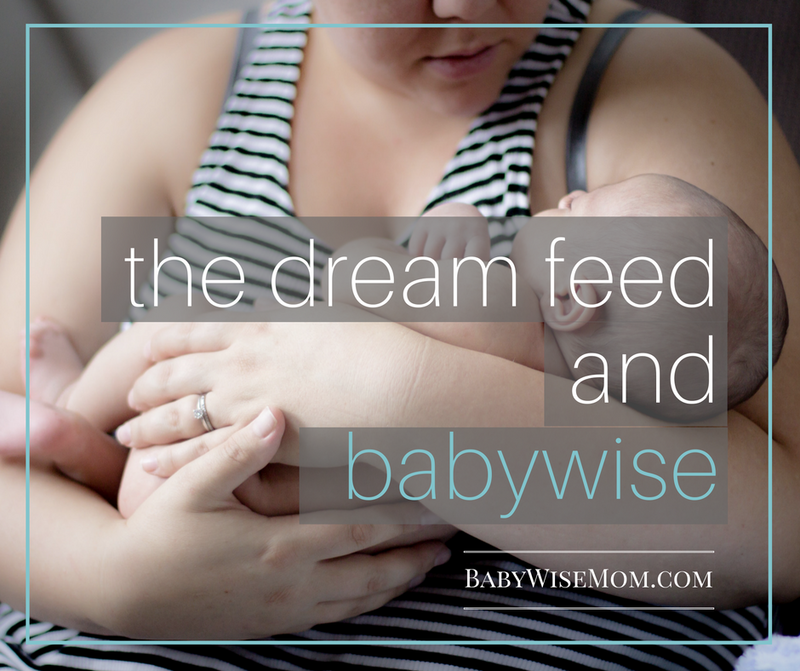 Dream Feed and Babywise. What the Dreamfeed looks like for a Babywise mom and her baby. How to properly do the Dreamfeed with your Babywise baby. When Brayden was a baby, I somehow managed to parent him without the benefit of the Internet. Of course the Internet existed then, but it was not even in the top ten list of what you would turn to when you had questions in life. We muddled through and made it out okay. When Kaitlyn came along, I figured I would be just fine as a parent because really things had, in the end, gone quite well with Brayden. As is the case with children, however, she was different. She was an angel baby, but she had reflux. This reflux added a dimension of uncertainty to my day. After a few weeks of parenting her the old fashioned way, I had the bright idea to see what the Internet had to offer. 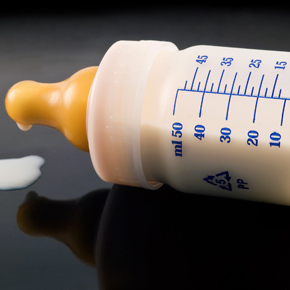 What I found was that most parents with babies with reflux had it really bad. Because of our use of Babywise, we really had it quite good. Turning to moms with babies with reflux got me no where. They thought a good night was one where their baby didn’t scream all night long. I had higher aspirations than that (and Kaitlyn already wasn’t screaming. Again, angel baby). Despite knowing we had it good, I wanted wisdom. I wanted to find moms who were seasoned with life experience who had done Babywise with a reflux baby who could give me advice. I didn’t find it. I did find Babywise groups, but I also found that I was the seasoned mom with experience in these groups. Instead of being mentored, I was the mentor. It has led me here to this blog and was therefore a rich and rewarding experience. I rather enjoy helping parents become the best parents they can be. Being a mentor doesn’t mean you never learn anything, though. I may have been mentoring, but I have always had plenty to learn from others. I have always picked up great tips and tricks along the way, as well as terminology. One such term is the phrase “Dream Feed.” This post contains affiliate links. “Dream Feed” was not part of the Babywise book until its most recent edition. Even when Kaitlyn was a baby, however, it was a prevalent term that was often discussed in Babywise groups online. The term originates from The Baby Whisperer. You will find many, many pages discussing the Dream Feed in the book The Baby Whisperer Solves All Your Problems. The Baby Whisperer books are a great companion to Babywise, and many moms read both. I quickly added the term “dream feed” to my daily lingo. In The Baby Whisperer Solves All Your Problems, Tracy Hogg lists the Dream feed as happening in the 10-11 PM hour (see page 25). She states that again on page 94: “…the dream feed, which is given somewhere between 10 and 11 (depending on how late you or your partner can stay up).” Back on page 25, Hogg says after the dream feed, you put baby to bed for the night and hopefully don’t see him or her until morning. This obviously won’t be the case until baby is old enough to handle that long of a stretch between feedings, but that is the goal. This is the same type of feed as what was previously labeled the “late-evening feeding” in Babywise. “…the late-evening feedings, which usually occur between 10:00 or 11:00 p.m. After this feeding let your baby sleep until he wakes up naturally…” (page 112–2006 publishing). Later in the same edition, it is described this way, “Your late-evening feeding, falling somewhere between 8:30 p.m. and midnight…” (page 116). And then “After this one [the late-evening feeding], let him wake up naturally…” (page 120). Because of both of these texts I have quoted, I have always interchanged the terms “dream feed” and “late-evening feeding.” I wrote posts explaining the dream feed to moms who were involved in Babywise groups online but hadn’t read the Baby Whisperer books. The newest edition of Babywise has a brief note on Dream Feeds. On page 100, you will see a paragraph dedicated to the dream feed. In it, it states that there is a difference between the dream feed and the late-evening feeding. It states that a dream feed would come after the late-evening feeding. So in our modern day in Babywise groups online, you might run into some confusion. 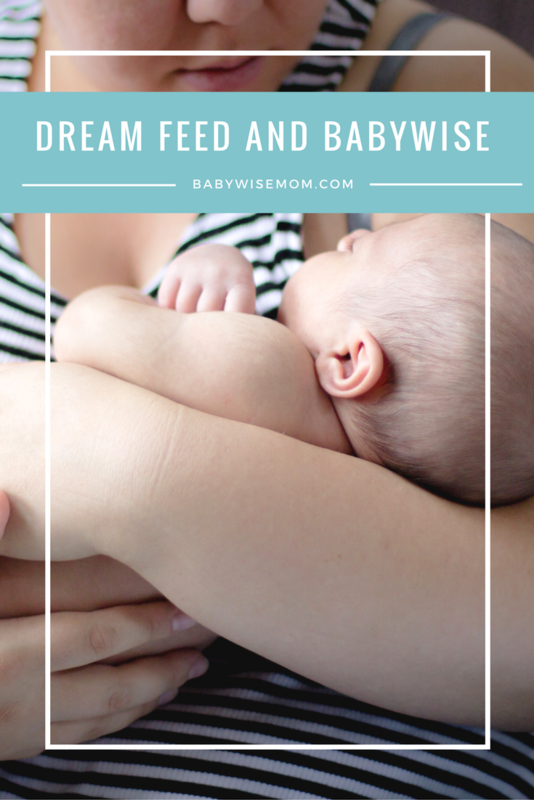 Any mom who only owns the newest version of Babywise might be confused by moms with the older version or who have been around longer than that version has referring to a dream feed. There will also be moms who pick up on a term that has been used by Babywise moms for basically a decade. You might also find yourself confused when reading this blog since all of my dream feed references can be switched out to refer to the late-evening feeding. Let this post be a point of clarification! No matter what you call it, you might face confusion about it. Here is my advice on how you should look at a dream feed. If your “late-evening” feeding happens in the 10-11 PM hour, consider that the same as a dream feed and do not attempt to add in another feeding. I highly, highly recommend against waking up a baby intentionally past 11 PM (there are exceptions. If you are waking baby every 5 hours in those early weeks, you will obviously be waking baby up again in the night. Also, you might be waking more often on doctors orders. You also might be waking baby at some point in a wake-to-sleep attempt). If you have your “late-evening” feeding at 8:30-9:00 PM time-frame, you might want to attempt a “dream feed” between 10:30-11:00 PM. I also want to assure you that you do not have to do a late-evening feed or dream feed if it is not working for you and your baby. You can have your last feeding of the day be around 7-8 PM and then call it bed and let baby wake on her own (or you wake every five hours if baby is 0-5 weeks old). This will most likely mean you get more night feedings than you would if you did a late-evening feeding/dream feed. Not all babies take to this feeding and mom spends 30 minutes trying to get baby to eat unsuccessfully. I would highly recommend you try the dream feed/late evening feeding. If it works, it is SO worth it. If it does not work, however, it just makes you tired and emotional. Give it a faithful try. Try it more than one night. 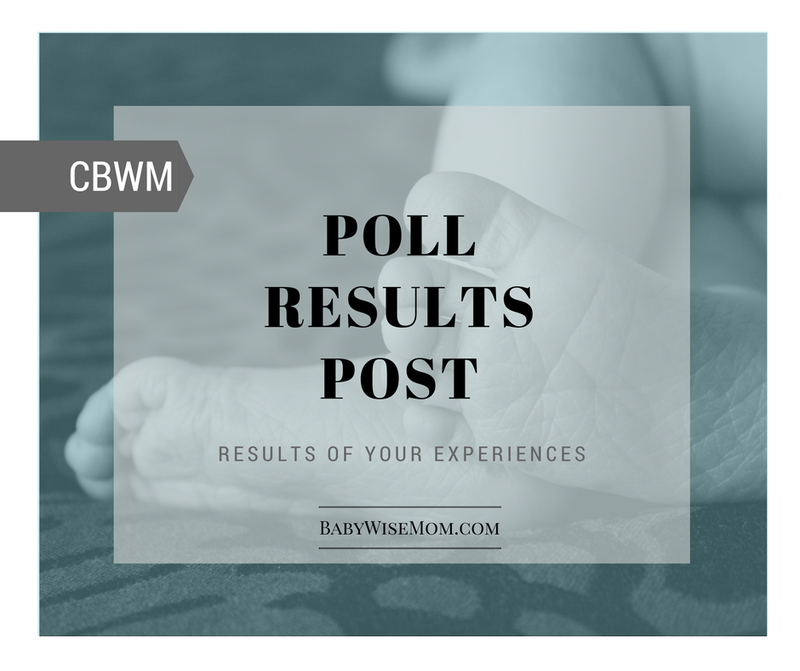 In a recent poll I did, all but one person said she would do the dream feed with her next baby, and that includes people for whom the dream feed did not work. There is value there and it is worth a try. As you navigate your Babywise groups online and chat about the dream feed, be sure you are all on the same page as to what a dream feed is. Then proceed with your discussions. Are you wondering if the dreamfeed is right for you? Read my post on the Benefits and Drawbacks of Doing a Dreamfeed.